It’s fiesta time in Portland! It’s fiesta time as the biggest celebración of the year fills Portland’s Tom McCall Waterfront Park with Mexican food, music and entertainment. 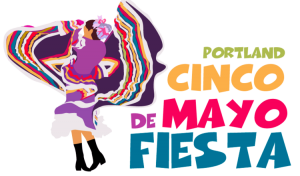 The 32nd annual Cinco de Mayo Fiesta, presented by the Portland Guadalajara Sister City Association (PGSCA), runs Thursday, May 5 through Sunday, May 8. TriMet will take you to the festivities but plan ahead as MAX stations closest to the park will be closed on Sunday. All MAX lines and dozens of bus lines serve the Downtown Portland area, and will drop you a short walk away. MAX Blue and Red lines run along 1st Avenue, just a block away from Waterfront Park, providing the closest option. However, those stations as well as the ones on Morrison and Yamhill streets near the park will be closed on Sunday due to TriMet’s 1st Ave MAX Improvements project. Go to trimet.org/firstavenue to learn about the service adjustments during the project. TriMet’s online trip planner makes it easy to plan your trip to the fiesta, with information about travel and walk times, transfers and the service adjustments during the 1st Ave MAX project. Visit trimet.org.